Your time on-campus at Madrona will lend toward a community experience that allows you to optimize your own free time while deepening and enriching your journey with us and fellow workshop/retreat participants. Here’s important information to help you get the most out of your time here. Madrona's accomodations are cozy and simply furnished. The majority of our rooms are single (own room). Request for a shared double bed can be made yet are limited in availability depending on the size of the workshop. Register early to be placed on the list. In honor of retreat-style housing, Madrona's accommodations offer a quality that blends comfort, simplicity and a peaceful setting into a combination that supports your group's program experience as well as the essential solo integration time that deepens your experience. Housing is within easy walking distance to the beach, forest trails and your program. Bathrooms are shared and down the hall. 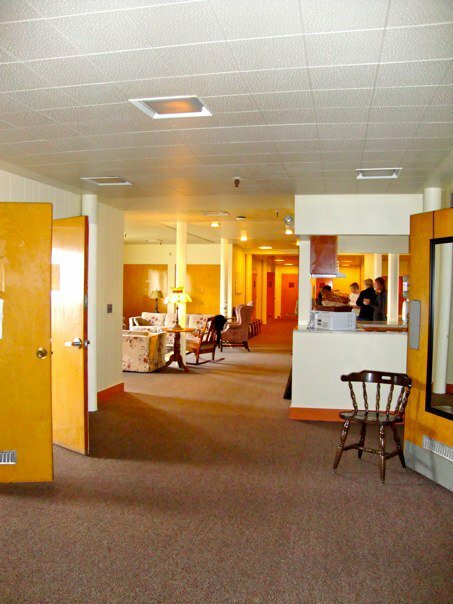 Program accommodation fees includes workshop tuition, linens, all your meals, other daily movement classes, and any non-ticketed evening events at Madrona. Room and Meal Package average $130-$150 per day - depending on the group size and workshop. Limited Shared Room Options are available. Shared rooms have two twin beds or a double. Please inquire. Please ask us for details on alternative on-campus housing units. Request early as the campus is often filled with many workshops, conference and activities. Madrona is not equipped to handle pet housing and pets are not allowed in housing. We maintain a smoke-free buildings but offer a designated outdoor smoking area. Please inquire at the Front Desk when you arrive. Fort Worden is located on a bluff overlooking the Strait of Juan de Fuca and Admiralty Inlet. 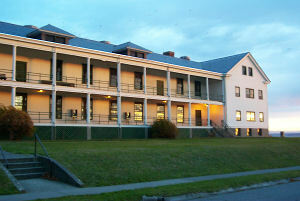 A former nineteenth century army base, much of the Fort has been renovated and turned into a year-round, multi-use facility offering miles of beach walking, wooded trails, swimming, biking, canoeing, kayaking, in-line skating, camping, tennis courts, a Marine Science Center, a Natural History Museum, and two historic military museums. As a member of the Fort Worden Collaborative, Madrona is working with the State Parks & Recreation Commission, Centrum (a not-for-profit arts education organization), Peninsula College, Goddard College, Copper Canyon Press (a Pulitzer-prizing winning independent press), and other partners to share resources, create a more sustainable schedule of groups/spaces and to steward its future as an arts, educational, and recreational site. Fort Worden now has a selection of Eateries including a Cafe, a pub, and a lunch spot on the beach, Find out more! The Madrona Campus is within Port Townsend City Limits. The heart of Port Townsend is approximately a mile's walk and is accessible by public transportation, taxi, or on a bike. Contact Madrona with any questions you may have in planning your workshop or training at Madrona. Other housing options are available upon request. For workshop, retreat and teacher training please see our Planning and Information webpage.